In a Nigerian town in the mid 1990's, four brothers encounter a madman whose mystic prophecy of violence threatens the core of their close-knit family. Told from the point of view of nine year old Benjamin, the youngest of four brothers, THE FISHERMEN is the story of an unforgettable childhood in 1990's Nigeria, in the small town of Akure. When their strict father has to travel to a distant city for work, the brothers take advantage of his extended absence to skip school and go fishing. At the ominous, forbidden nearby river, they meet a dangerous local madman who persuades the oldest of the boys that he is destined to be killed by one of his siblings. What happens next is an almost mythic event whose impact-both tragic and redemptive-will transcend the lives and imaginations of its characters and its readers. 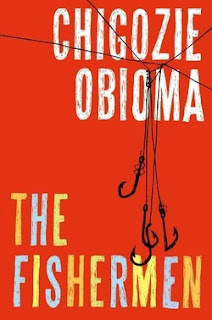 Dazzling and viscerally powerful, The Fishermen never leaves Akure but the story it tells has enormous universal appeal. Seen through the prism of one family's destiny, this is an essential novel about Africa with all of its contradictions-economic, political, and religious-and the epic beauty of its own culture. With this bold debut, Chigozie Obioma emerges as one of the most original new voices of modern African literature, echoing its older generation's masterful storytelling with a contemporary fearlessness and purpose. This book is not about fishermen, don't make the same mistake I did and glance at the cover and jacket copy and take it for face value. I'm not into fishing, AT ALL. I would find a book about fishing to be torture. Why did I pick this up? Because I've heard great things around the bookternet and it was sitting front & center at the local library, whispering "take me, take me". The colorful cover helps it stand out as well. This was... (dun, dun, dun) the very first book I borrowed from my new local library in Bristol, CT. Yay for libraries. Overall, a great choice because the day after I picked it, the Booker prize longlist came out and The Fishermen was on it. Not that I care about literary awards but I do like ANYTHING competition as long as I'm involved some way (MasterChef being one of my favorite shows). However, if I haven't read many on the list, I won't care at all. This year it looks like I might have an opinion on the matter, which is pretty cool. So, The Fishermen is another tragic story, so many of these this year (or at least the ones I've been reading). This one didn't resonate personally with me that much (I'm an only child - kind of - in a way - ugh, long story) and I can't relate to having such a connection with a brother/sister. The whole story is that relationship, and done REALLY well. The Author did such a great job placing you right in the middle of Nigeria in the 90's. I felt the deep connection between the brothers and the rips that started to form. The standout theme for me was destiny... the strength and power that words and beliefs can hold. Those that believe in premonitions and destiny, sometimes can make it come true. Think of how you can feel a little sick, or your partner gets sick... some people can WILL themselves into believing they will get sick too. I'm sorry, what a ramble. I just don't want to talk about the plot too much without giving anything away. My final word on this one... read it. This will be unique enough to feel fresh, compelling enough to feel quick and diverse enough to feel cultured. I can see why this was included on the Booker longlist but I will be cheering for "A Little Life" for the win. The Fishermen has all the right stuff to be a great contender and I hope the inclusion of it within the longlist will cause more people to pick this one up. "It was a fish so ugly it didn't seem to be a fish at all." I was not expecting this one to be a favorite of mine for the year. I haven't heard of David Vann before but the cover leads me to believe he is someone to know with multiple blurbs of praise. I'll have to go back and check out some of his other work. 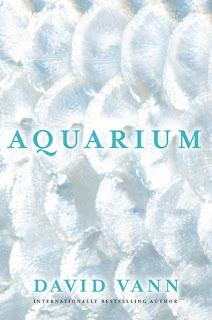 Aquarium is beautiful and tragic, a combination that always interests me. Even though that might sound like an overused phrase, this book is very unique and I really would have trouble comparing it with anything else. The most unique part about it was the beautiful images of fish, each given at the perfect point in the story with the perfect description. You know how sometimes the pictures used in books match up only "slightly" to the text? This one is a perfect match, Vann selected these pictures and must have sat down and analyzed what he thought a 12 year old girl would say about them. The Aquarium is the backdrop for a story that goes relatively deep into family strife, vulnerability and trust. The daughter has this warm relationship with her mother, very trusting (mainly because she is the only family she has). When her life opens up to the possibility of more, things become strained. The one word that came to mind throughout this book was empathy... and fairness. Caitlin's mother wants her to empathize with her so badly that she pushes her daughter away, in the meantime... she can't seem to do the same for her father. There is a vicious cycle of wants/needs and you just want to shout at everyone to "wake the F up" and smell what the other is cooking. Vann says it best with this one quote, "One life can never know another's." As poetic and beautifully written as this book was, I had a hard time in certain parts of the book (which will be left unspoken), especially when I have dealt with similar situations growing up. I was able to sympathize with Caitlin so much that I ended up hating everyone else. I'm sure most readers will agree that the likability of everyone isn't the point. Don't let that sidetrack you from the real message here... one that you'll discover when you read it. Don’t mistake my rating - I did enjoy reading this book. It just wasn’t up to par with Ready Player One for me, which I was just absolutely smitten with. I think part of it had to do with how promisingly Armada began, but then it quickly became war games, full of epic battles which I just kind of glazed over while listening to. (Seriously - I think I missed a few rather turning-point moments during fight scenes because I would drift off!) While the book still has the wonderful, pop culture-y, nostalgic ring to it that RPO does, it just isn’t quite the same. To that end, I’ve developed a theory: the RPGers vs the FPSes. It is my belief that those who love adventure video games like King’s Quest (have you played the new one yet?! - if not, hop to it!) 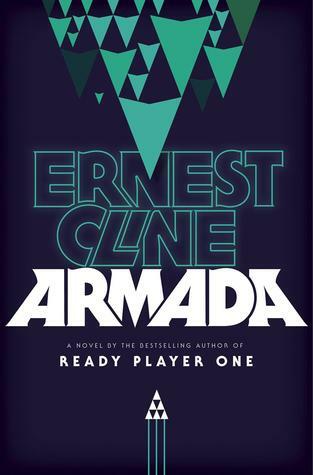 really enjoyed Ready Player One, and those who prefer more of the Call of Duty/Doom-type games will gravitate more towards Armada. What do you think, Readers? Do you agree? Have some arguments to disprove my hypothesis? Please! By all means, share away. I’d love to discuss further. In any case, reading the book is well worth it for Wil Wheaton’s incredible voice-acting range. You won’t regret having picked the book up when you hear his Morgan Freeman impression! And the characters are fun: you get a great mix of jumping-off-the-page personalities (even if many of them are endearing tropes) in every chapter. Zack Lightman and his family and friends (both old and new) are people you want to hang out with. I just wish there had been puzzle-solving a la RPO, and less being thrown from one battle scene to another. Granted, that would certainly have changed the entire story! And I liked the concept, as a whole. And of course all the references thrown in. But just know, going into Armada, that you shouldn’t expect RPO. Which I suppose wasn’t fair of me, in the first place. (Apologies, Ernest Cline!) My husband read Armada in a day or two and really enjoyed it. He hasn’t yet cracked RPO. I look forward to seeing his reactions once he’s consumed both. Until then, I was to underline that I did enjoy reading this book, and I am not trying to warn anyone away from it! I just want a reader’s expectations to be where they should be. Which means: already pretty high, since Cline is a lot of fun and you won’t be disappointed, I don’t think. "Carolyn, blood-drenched and barefoot, walked alone down the two-lane stretch of blacktop that the Americans called Highway 78." Let me start off by saying how STRANGE this book is. It reminded me a little of how confused (in a good way) I was when reading "John Dies at the End" by David Wong. I liked this one ten times better, though. 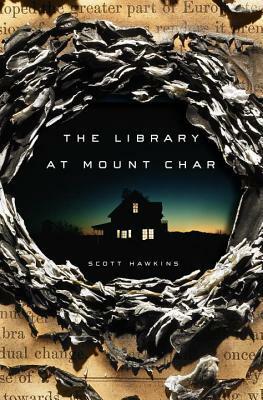 Scott Hawkins is now in my pocket, categorized under "must read horror - on release date". Hopefully, this guy is planning on doing more. Recently, I have been pleasantly surprised by two upcoming Authors in the horror genre, this one and Josh Malerman who wrote "Bird Box". Anyways, back to this book. I finished this almost a month ago, so this is going to be difficult to review, but I'll try. "In the corner was a box called a "television" or "teevee" that could show moving pictures, but you couldn't step inside it or touch things." I loved getting to know these characters, even though they were unlikable gremlins. I love books that show things from that perspective... the evil one. As much as I hated the main character, I loved her too. I think the comedic relief helped with that. But before you think the only thing the book offers is humor... you would be VERY mistaken. I would not recommend this one to Arianna (squeamish), the blood and gut scenes even made me a little queasy. 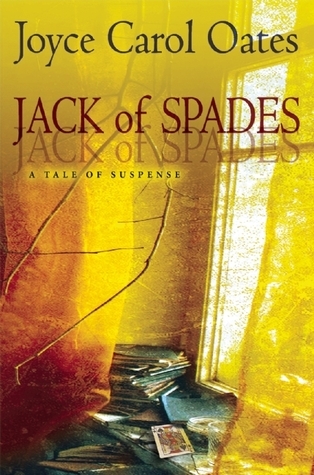 I felt terrified of certain characters in the book, reminiscent of "Hellraiser". If you love that kind of stuff, I would highly recommend checking this one out (with an open mind). This was a unique style of the horror genre and I'm glad to have come across it. "Your Honor, in the winter of 1972 R and I broke up, or I should say he broke up with me." When I was done with it, this book forced me to sit down and write out a summary of each section so that I could try to more fully comprehend what had just happened. I don’t even know where to start writing this review! It was a gorgeously-written but incredibly complex book, laden with nuances that the reader is never sure whether the author intended. Oy. Luckily, I read this one for my book club, so I was able to sit down with the group and realize that I was not the only one confounded and frustrated by the story! It was funny, because the book would take me some time to pick up, but whenever I did, I found myself flying through, captivated by the beautiful writing. (The character's situation in the first chapter really resonated with me, which initially drew me in.) Overall, it felt like it took me a little while to read, but I did enjoy the process of doing so. However...the reader is left with so much mystery at the end! It was initially very frustrating, and I wanted to rate the book really low in spite of the prose. It certainly helped to talk the book over with others, though, and to give it some time to sink in. I was glad to learn I wasn’t the only one who had felt confounded, almost swindled by the author! As if we were missing a huge chunk of something that would make the entire story fall into place. However, we came to realize over the course of an hour (and sometimes heated discussion!) it isn’t quite necessary that the book have that sort of closure. The book stood well enough by itself, and most of us agreed it was certainly worth reading. We discussed also how the author had published versions of the first section as a standalone short story in a couple of publications prior to fleshing it out into a book, and we agreed that that first story really did stand pretty well on its own. We also learned that Krauss had admitted to often being tired & distracted while writing the novel, because she was pregnant at the time. This could also have explained some of the readers’ confusion - but we thought a good editor would have helped if that were truly the problem. The book club discussed some excellent things: we talked about how every character seemed tortured and unable to move on; we commented on the similarities between the regimes of Hitler and Pinochet; we discussed the very Jewish sensibility of this book, and how ultimately all anyone wanted to do was tell their stories, and be remembered by them. One group member said “story as legacy,” which I think sums the book up nicely. 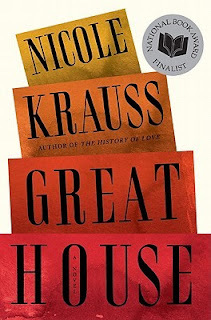 The book touches on estranged parent/child relationships, loss (and the need to hold onto something), writing as catharsis, and the fragility of memory. It was complex and dense at times, and ultimately a very rewarding read (especially after our discussion). So my overall impression is that I think it gives the reader a lot to take away, and I ended up rating it quite a lot higher than I would have when I first closed the book. It makes me so grateful to be able to participate in such a thorough & multifaceted discussion group - and often be introduced to books I might not otherwise have ever encountered! "The person who interviewed her had no face." In a windowless building in a remote part of town, the newly employed Josephine inputs an endless string of numbers into something known only as "The Database." After a long period of joblessness, she's not inclined to question her fortune, but as the days inch by and the files stack up, Josephine feels increasingly anxious in her surroundings. The office's scarred pinkish walls take on a living quality. The drone of keyboards echoes eerily down the long halls. When one evening her husband Joseph disappears and then returns, offering no explanation as to his whereabouts, her creeping unease shifts decidedly to dread. What the heck just happened? Should I care? I loved the ride. This story was like a waking dream, an insomniac walking the streets so tired they start to see things that shift, liquify, change into strange. I would have classified this book as magical realism but Goodreads doesn't... what's up with that? Not that Goodreads is the say all for genre classification. Sentences and thoughts such as; "what's it like to eat three hours? She was feeling impish. How do they taste? Like cotton candy or grass or concrete?". If that speaks to you... you'll probably very much enjoy this book. Don't get me wrong, it wasn't hard to get through - some magical realism is SO far out there it's hard to keep interest or balance. This isn't that. Phillips gives us a little lighthearted approach to a dark plot, with characters named, "Trishiffany" and "The Person with Bad Breath". Josephine and Joseph need to find new jobs in this hard hitting economy (the feel is almost apocalyptic or maybe on that verge with no natural disaster). The two both find "bureaucratic" jobs and find places to sleep by renting from temporary furnished apartments (in other words, smelly and filled with someone else's crap). Josephine has the strangest mundane job of inputting numbers into a document on the computer. She is told not to speak of the job with anyone, especially at home ("Fight Club" anyone?!). The Author has a unique way to capture things, which reminded me a little of Miranda July's book "The First Bad Man". Not in plot, but in tone? uniqueness?, she definitely goes a little outside of the box. For example, the main character walks into the girls bathroom and sits on the toilet to pee, another woman walks in and takes the stall next to her. Phillips describes this moment, "an uneasy music, the music of two women peeing side by side..." I mean yes, how perfect is that? You can't deny being in that position and hearing that loud echo of pee hitting the water in the toilet and not be a little self conscious. This is why she reminded me so much of Miranda July, who handled situations similarly in her book. Taking those moments in life you don't want to share with anyone (inner thoughts) and writing them on the written page without discretion. I love that. I'll take more of that please. I can't end this review without mentioning the word play. Josephine has a very strange quirk that grows more prevalent as time passes in the story... she plays with words quite a bit. Sometimes it's anagrams, other times it's something else... but I found it very amusing to read. Speaking of amusing, this is pretty much how I viewed ALL the quirks to the book... amusing. However, there is a very dark theme and purpose to the story that shouldn't be overlooked. 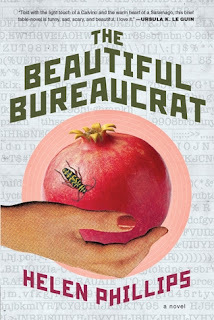 I would recommend anyone who flirts with magical realism, likes characters who speak anything that comes to mind and has a very open mind... this one would definitely be for you. P.S. - I received this e-book free from Netgalley/Publisher. "Her satellite made one full orbit around planet Earth every sixteen hours." 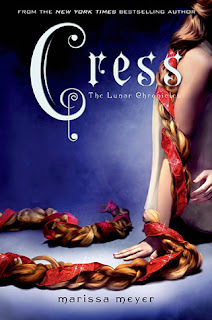 Cress is now my favorite, I know I said that about Scarlet but I really mean it. Watch me get attached to Winter next... the characters AND the books get better and better. The writing is improving and I'm completely invested. I loved the complexity this book has surrounding Cress... having been left alone in a satellite for her whole life, with little contact with anyone. She is so isolated with only a younger version of herself keeping her company as a computer simulation. The journey she goes through in this book is pretty fascinating because we grow with Cress, we get to see what the world looks like from the eyes of someone who has only read about it. What does a forest look like? Water? Animals? How the world opens up... you can only imagine getting a little wigged out. Cress is so much more than that though, she is that computer nerd who thinks in codes, she is that techy girl I love. Now we have Cinder (the mechanic with courage), Scarlet (the brave warrior), and Cress (the geeky, odd computer genius)... fantastic cast of characters if you ask me. 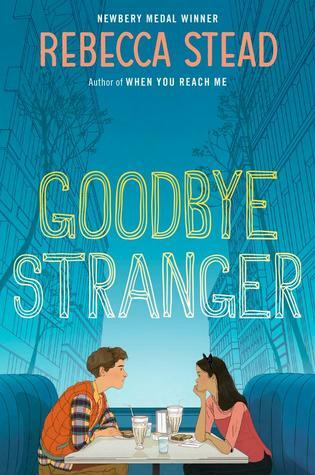 I love that any teenage girl reading this series will be able to connect with one of them and relate to their personality. I'm completely digging the girl power of this series, you can't deny that the heroes of this story are the females. This is not to say that I would consider this a book only for girls, absolutely not! The sci-fi aspect will really appeal to anyone and the otherworldly fantasy element is perfect for anyone willing to escape to a different world. I can't help feeling that not only is Meyer improving in her writing but the story is flying by smoother. These open endings are killing me, I've caught up (other than the next inbetween book 'Fairest') and now I don't want to wait until November! The torture... I hardly ever get addicted to series like this, but I'll admit, this one has me. I'm patiently (NOT) waiting for "Winter" to come out now. "Woodridge Academy, a private school in Heath Cliff, Pennsylvania, had once been the home of William Heath, after whom the town had been named." "Be careful. Your next step may be your last." Let me start off by saying how much I LOVE Louis Sachar. I have ever since Sideways Stories from Wayside School, which I recall reading obsessively over & over again when I was little. (I also remember being so excited when I discovered there was a sequel!) Sachar’s humor is perfectly timed and so well done. And while I don’t recall the entire plot of There’s a Boy in the Girls’ Bathroom, I do remember that book being passed around as the current coolest thing in fifth grade. Many years later I also picked up Holes, which was likewise a true gem. 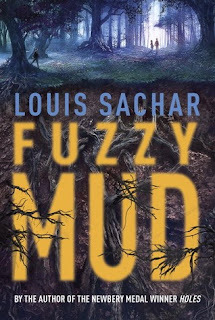 So I was thrilled to be able to snag an ARC of his upcoming Fuzzy Mud at BEA this year! I looked forward to cracking the cover. And yet...once I did? Well, at first all seemed well & good. The usual Sachar wit and comedic pacing appeared to be at play. But...it didn’t last. And I was severely disappointed in what I noticed some other blogger call the pointlessness of the entire story. It seemed to have such great promise: it was a novel about some kids who enter the forbidden woods near their school and encounter the eponymous fuzzy mud, interspersed with federal testimony related to a new form of biofuel that is concurrently being developed. So, I totally geared myself up for a great little read. But? I felt as if there was nothing to take away from the book. Not even an environmental lesson, unless it was that of “if you can, try to get attacked by bad organisms sooner rather than later, so that things don’t spread out of control.” Or, was it “we shouldn’t be trying to develop new fuel technologies because they could be dangerous”? Neither really seems to be Sachar’s intent, but I just can’t figure out why he wrote this book. There was a good portion of it related to bullying and how a bully sometimes isn’t even sure why he acts the way he does. I thought that was a great takeaway for a young reader. But the rest...just left me kind of ambivalent. Perhaps part of that is that I have such high expectations for this author. I am hoping that this is just a minor blip in his otherwise super record, and I still look forward eagerly for his next release. I’ll just probably quietly pass this one on to my local library’s book sale, in hopes that it WILL speak to someone else. "When she was eight years old, Bridget Barsamian woke up in a hospital, where a doctor told her she shouldn't be alive." This is another one of those books I wish had been around when I was young. I really enjoyed it, and it was pretty unique. The story was the linear tale of a trio of girls growing into adolescence, but interspersed occasionally with an odd storyline told from the second person perspective: there is a little bit of a mystery thrown in. The reader begins to understand how the two stories are related as the book continues on, but I have to admit I was surprised by the reveal at the end! The book is a great introduction for young girls into the scary world of the teenage years. The group of three girls couldn’t be more different, and these contrasts are emphasized as they grow up. One loves to wear cat ears 24/7 and is becoming interested in theater tech. Another has a Hindu background and is learning to embrace feminism. And the third is blossoming into a beautiful young woman and hanging out with older girls (and boys). The three have made a pact from the beginning that they would never fight, but those promises become strained as they try to find their way forwards, while everyone grows up. 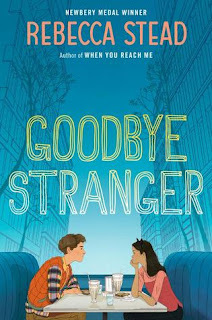 The book explores how people and friendships change, and how it is okay to realize that sometimes you grow apart from people, and it’s not the end of the world. The way the author handles it, making it sound like a normal part of life, might help young adults as they struggle through similar situations. This is the first time I’d also encountered any book address sexting, and I thought it was so well done. Nothing scandalous, but enough of a scare that it might teach young readers about the potential dangers of the activity and the idea that nothing you send digitally is private. A great lesson to impress upon people at a young age! Overall, I thought the characters were all great & unique, and I even learned something about a Hindu holiday that I had never even heard of before (I love when I get to learn something completely new from a book, any book!). I will most likely be passing my copy on to my sisters for when my nieces are old enough to appreciate it; maybe I’m just an out of touch old person, but I think it has potentially strong staying power for a middle-grade audience. P.S. I picked this up at BEA this year and was through it inside of a day - a very quick read!